Last week, I had the pleasure of sitting down with Lime Red Studio Strategic Design Director Demetrio Cardona-Maguigad to discuss, among other things, the power of story and the history of community news in the new millennium in Chicago. I’ve known Demetrio since the salad days of Chicago blogging a decade ago. We agree that online technology now more than ever aims at communications and community building, in a powerful way. But he lamented to me that the generation that went online after us sometimes takes for granted the power that contemporary online technologies and platforms have for building community. They don’t know how hard so many of us tried to keep community blogging and hyperlocal news alive in Chicago. From the early 2000s onward, first-generation bloggers and online journalists creatively explored every potential electronic niche on the internet, trying to marry the celebration of nearly (and soon to be) real-time communications platforms with a grassroots, social impact-based desire to tell more, better, and more immediately engaging local stories. For the next decade, Chicago bloggers and pioneering online journalists tried every way we could to leverage the internet to make our city a more connected, just, and egalitarian place. But the impetus wasn’t just ethical. There was fear then, too. We were witnessing the beginning of the great decline of print media. As page counts were lost, then photographers, then reporters, then entire mastheads all across the country, we hunkered down trying to save what was most important at the humble level of our local lives: stories of and about our communities. But in the world in which we live it takes money to survive. So though we watched major media continually struggle to fund a physical format whose relevancy was declining even faster than we recognized at the time, we kept trying. If the Tribune couldn’t find the secret sauce at 435 North Michigan, we were going to come up with it ourselves in the back of a West Town coffee bar. When I launched CHICAGO CARLESS in 2005, I was one of dozens and dozens of Chicago-based local blogs. We challenged each other to write stories that would win coverage on Gapers Block or Chicagoist. We yearned to become the top story of the day on Windy Citizen. Then the major dailies caught onto our zeal, and even though we still hadn’t managed to discover the Holy Grail of sustainable ad revenue, I guess they figured we had a better shot of finding our way there first. 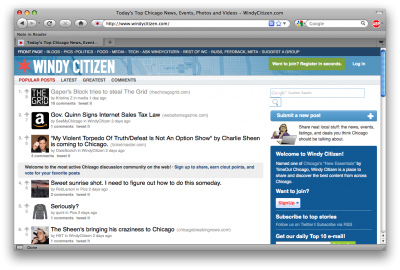 In 2009, the Chicago Tribune created its Chicago Now blogging platform, allegedly as a way to elevate local blogs by blessing them through association with a major media brand. To some of us, though, it felt more like a desperate play for our audiences to stem the major daily’s major, daily bleeding. Not to mention the death knell for uniqueness in the local blogosphere. (Remember when that was a word?) Melting into the Tribune brand made many local voices harder to find, muted their distinctiveness, and blessed them with the declining relevancy of a legacy masthead. And I said so at the time, too. As we headed into the turn of the decade, foundations in Chicago and across the country were already attempting in earnest to cowboy the growing legacy media disaster. Some aimed to save hyperlocal news, creating a flurry of neighborhood news sites that imploded, one after another, after the grant money ran out. Others set their sights on helping print mastheads tiptoe toward their inevitable online futures. But some well-meaning funders labeled as leadership what were really just attempts at learning what online communications was all about in the first place. Those of us who had actually been living and doing online for many years already knew the things those funders where attempting to frame as innovative. But many of us weren’t invited to the strategy table. In Chicago, that meant conference after conference was organized around online lessons learned in a previous decade. If the words Community Media Workshop were on the conference label, you knew you would learn something. But if the words “trust” or “foundation” we’re anywhere to be found, you knew you might be rolling your eyes while you sat through two days of panels on social media 101. Yes, that’s a harsh appraisal. But many of us felt held back by funders who just didn’t get it, and wouldn’t listen when we told them they weren’t getting it. To a certain extent, such basic training was passed off as innovation because for journalists in the room, who had spent so long digging their heels in and demanding not to take responsibility for promoting their own work, it really was the first time they were ever allowing themselves to learn about the web. But for the rest of us, the experience was only occasionally innovative from a technology standpoint. From a monetization standpoint, it just forestalled the inevitable. Smoke and mirrors hiding a glaring lack of secret sauce. 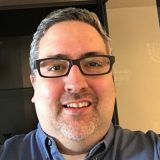 In the end, after the Trib and the trusts finished sucking the air out of local online innovation, the secret sauce stayed hidden and most of us went on to other things. Brad Flora closed down Windy Citizen years ago, migrated to Silicon Valley, and became a millionaire using advertising technology lessons he learned in Chicago. Geoff Dougherty tried and failed to resuscitate Chitown Daily News as a political print glossy. Adrian Holovaty hit it big when he sold EveryBlock to NBCUniversal. But they closed it down, then sold it to Comcast which eventually brought it back, but no one really cared anymore. Hyperlocal news sites did great journalistic work, but with no way to pay their journalists sustainably many eventually went offline, or succumbed to infighting and spectacularly imploded. (I’m looking at you, Welles Park Bulldog.) And today, seven years after its founding, Chicago Now has an Alexa ranking of 28,000–about 27,000 points worse than the ranking for the Tribune, itself. Some blessing. For years, one of the last local holdouts to remaining on its feet was the hyper-popular Gapers Block. When Andrew Huff decided to cease its publication at the beginning of this year to take over his fathers communications business, it was the end of an era. It was also a decision trolled in characteristic form by the Chicago Reader’s Michael Miner–who, of course, works for a legacy print masthead. So, you know, tick tock. Yes, we still have Chicagoist. But it started in New York. And it’s nothing like it used to be. Those millennials Demetrio worries about keep posting Chicagoist stories as if it’s the first time anyone on earth has ever heard of the subjects they’re writing about. On the other hand, today, many of the things that many of us said it would take to save local news in the age of the internet (for example, see this post I wrote for Huntington Post Chicago back when dinosaurs ruled the earth) have come to pass. Journalism schools train tomorrow’s journalists with the technical skills they need to be the biggest boosters of their own content–online, on legacy and emerging platforms, and in legacy and emerging social media. And though, as Demetrio laments, sometimes the generation that came after us takes those platforms for granted, they also use them, when they choose to use them, with astonishing facility and ease. So I don’t think the last words have been written on the struggle to save–or at this point, revive–community news online. I don’t just mean the great work being done by Public Narrative in Chicago or the Reynolds Journalism Institute and its peer organizations nationally, although their positive impact is significant. For one thing, the last shoe hasn’t fallen on the disruption of print media. Eventually, all of the papers that are destined to die will be under the ground, and those that are destined to survive will be read exclusively on tablets and smart phones. A decade ago it seemed ridiculous that anybody would read the majority of their news on a tiny mobile screen. Today it’s the norm, and those screens aren’t tiny anymore, either. Nor are they only on phones. A decade from now, as the world sits down to read the morning news on whatever form contemporary tablets take in 2026, The outlets bringing them that news will be healthier than those today. They will no longer be saddled with the great cost of creating a mass physical product–and I believe when that migration away from print is finally complete, it will bring with it even greater disruption in terms of advertising markets and methods as everyone settles into a new normal that has no place for paper. What I’m most sure of is that all along the way there will be people yearning to tell their own stories and to share the stories of others. The stories of those with whom they share a block, a neighborhood, a city, a community of common interests. Just because the world has moved beyond Chitown Daily–much less printed dailies–doesn’t mean our voices are silent. Just because most local news and blogs are encountered in social media–or in some cases are posted solely to social media to begin with–doesn’t mean we’ll always be sharing our stories that way. And if you’ve read this far, you might have figured out by now, that’s the whole point. Demetrio’s lamented generation may not know the excitement of being the first person ever to share a particular topic online. (When Kohelet said that there’s nothing new under the sun, he was doubtlessly foretelling the internet.) But they already do know the excitement of becoming a story leader on the emerging platforms where they play. Of course they do. On an essential level, platforms are irrelevant, anyway. The humanity is what’s key. Creating community by sharing our stories with each other is in our nature as people. It’s just what we do. Not for nothing, that’s why the world could watch Tom Hanks spend years on a desert island talking to a volleyball with nobody batting an eye. In our kishkes, we just get it. Rather than the party being over, right now I think we’re just changing venues. I think we never stop doing that. Good thing, too, or we’d probably all still be on Vox. (And really, Movable Type was bad enough.) As people, we have a tendency to think that the way things are will always be the way things are. Even though we learn and re-learn throughout our lives that life is never, ever like that. Don’t get me wrong. I’d kill for Andrew Huff to find a way to bring Gapers Block back. But I know something will take its place eventually, anyway. It might not look, or feel, or seem like Gapers Black. But we’ll meet there and use it to share the stories that create community, just the same.